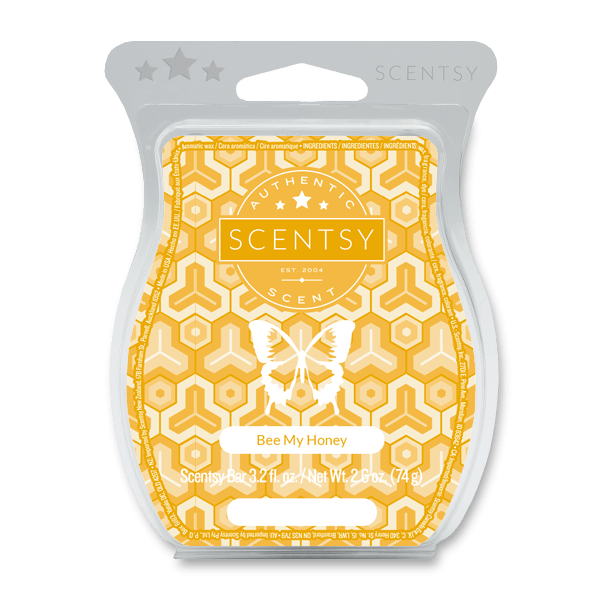 Bee My Honey Scentsy Bar – PINEAPPLE RINGS topped with SWEET HONEY and JASMINE BLOSSOM make a treat fit for a queen. • Available in more than 80 fragrances categorized into scent families (citrus, floral, etc. ), so you can find your favorites faster. • Plenty of variety to suit every mood, space and taste. • Fragrances can be combined to create your own blend. • Fragrance intensity can be increased by adding more wax cubes. • Designed by award-winning perfumers and fragrance designers. • A great value when compared to jarred candles of similar quality. • Safe to use — no wick, lose the flame, smoke or soot.